The following article is the rework of the thoughts put forward by Mati Greenspan, Senior Market Analyst at eToro. Over the past couple of weeks, there has been some significant movement in the altcoins which is put a question to many, whether are we actually in an AltSeason. There have some peculiar characteristics noticed, where The top cryptos have mostly been stable over the last week but there has been rapid fluctuation among many of the lower cap coins. there have been dozens of altcoins with massive gains and massive losses. Some of the top gainers have seen more than 200% returns and some of the losers are down more than 90%. Most of these coins have never been heard about before. Clearly, the shitcoins are getting separated from the good ones. 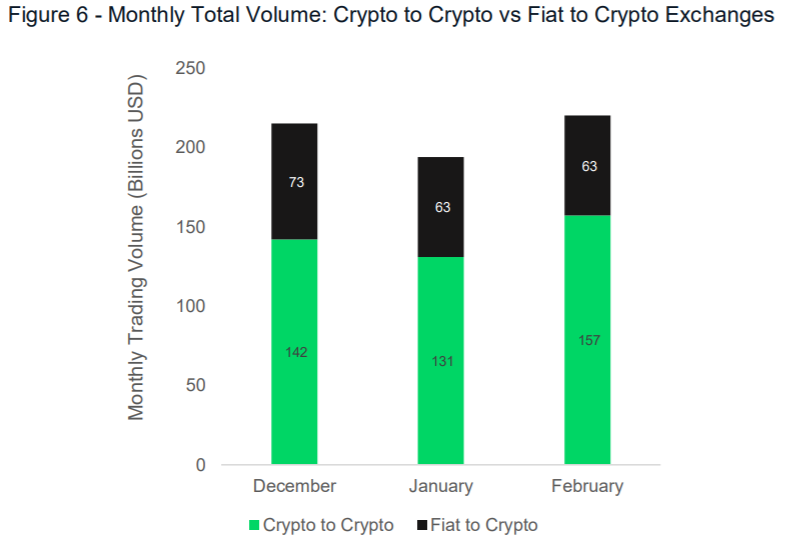 While there have been movements among altcoins, CryptoCompare new report gave out another signal that showed we are in an Altseason – the trading volume on crypto-to-crypto exchanges increased in February, outpacing December results, while the trading volume on fiat-to-crypto exchanges remained flat. The data showed that fiat-to-crypto trading dropped from USD 73 billion in December 2018 to USD 63 billion in both January and February of this year. Meanwhile, crypto-to-crypto trading seemed to be thriving in the last month: having dropped from USD 142 billion in December to USD 131 billion in January, it more than made up for this drop by climbing to USD 157 billion in the shortest month. While it confirmed the Altseason is currently going on, after some correction yesterday Three coins: Cardano, Ethereum Classic, and IOTA have already managed to shake off that move and are up today.